Class suspension continues on Tuesday, September 24, 2013. As many LGU's and schools declared no classes in many parts of NCR, particularly in Luzon. As they expecting for more heavy rains in the said areas, according to state weather bureau. 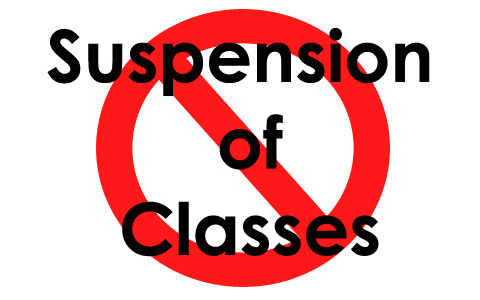 (Updated: September 24, 2013, 6:00 am)In Metro Manila, the city of Las Pinas, Muntinlupa, Malabon, Pateros and Taguig are declared of class suspensions for both private and public, from pre-schools to high schools only. But in Valenzuela, the daycare, pre-schools and kinder only in the areas of Arkong Bato, Balangkas, Isla, Pasolo, Poblacion, Polo, Tagalag, and Wawang Pulo. There's also declared of no classes in the nearby provinces. I'll update this post from time to time, for more information regarding to the class suspensions on Tuesday, September 24. For the meantime, please bookmark this page now or visit this site more often for you to be updated. You may also share this post to your friends so they may know about the No Classes on Tuesday, September 24, 2013. Comments or suggestions about "No Classes on Tuesday, September 24, 2013 - #Walangpasok in parts of NCR" is important to us, you may share it by using the comment box below.